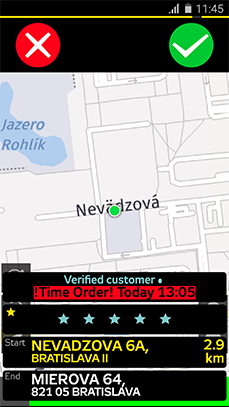 Get new customers thanks to the most popular taxi app in Slovakia. We are looking for drivers in Lagos, Abuja, Port Harcourt. Starting soon. Other charges may apply (e.g. for luggage, an animal). You pay a monthly fee for access to the app plus commission per order. We only work with professional drivers who meet all the legal requirements for the passenger transport – taxis. The drivers are not our employees. We operate on Cooperation Agreements. We cooperate only with a freelancer or other business entity. HOPIN TAXI app works on smartphone or tablet and needs constant access to the internet. 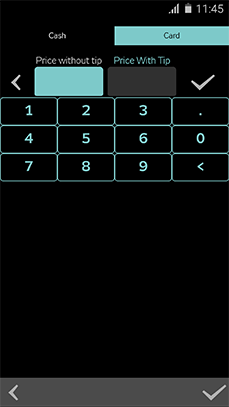 We recommend Android device. 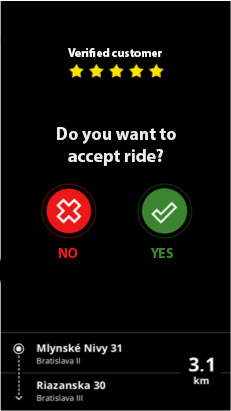 We ask customer for review after each ride. Happier customers mean more orders for you. Drive can give reviews to customers as well. Click on “join HOPIN ” and fill out the registration form. We will contact you. LIMO offers high-end vehicles, most commonly Volkswagen Passat, Mercedes C and E class, Audi 6 and above, BMW 5 and above, Škoda Superb (2013 and later), and estate versions (station wagons) of those vehicles. As a matter of course, we open doors – and umbrellas in rainy weather – for our clients and we offer bottled water and air conditioning. LIMO drivers wear dark trousers and light shirts. Some might wear a complete suit, or a tie, or other combination of smart clothing. For every order received, you see a pick-up address and the customer (new, loyal, corporate). It is up to you to accept or reject the order. You prepay the credit. Monthly fee and order commission is charged from the credit. If credit is below 0, you cannot accept orders. Check the credit balance in app anytime. 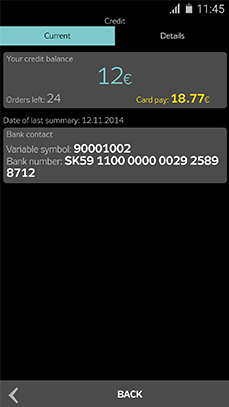 If the customer chooses to pay by credit card, you enter the sum from taximeter in the app. We charge the customer`s credit cards for you. 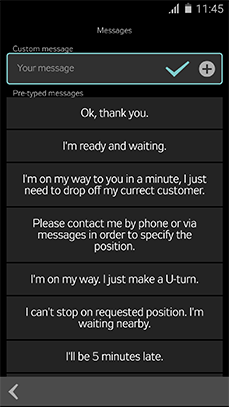 After accepting the order, you can chat with the customer via in-app messenger. You can specify the pick-up address or let him know you have arrived. 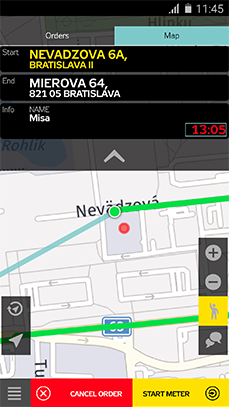 It is easy to navigate right to the customer as you see his GPS location on the map. This way you always find your way to him. 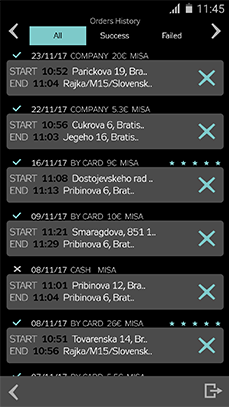 All received, even rejected, orders can be found in Menu> Order history. No need to keep a record elsewhere. If you want to join us, please click on “I WANT TO JOIN HOPIN” button.